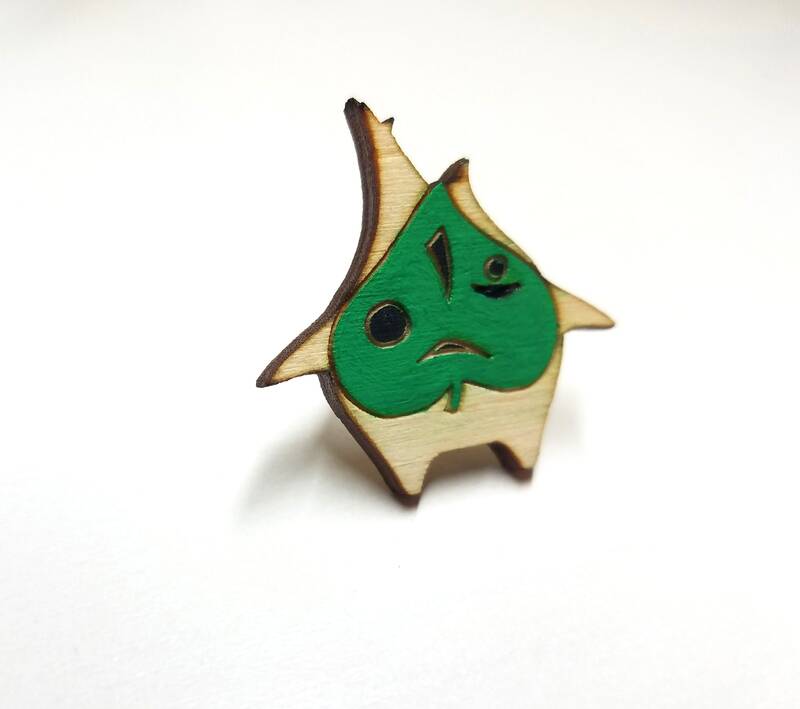 Koroks are referred to as children of the forest (or simply "forest kids") and are depicted as playful and child-like. They are spirits who are watched over by the Great Deku Tree. 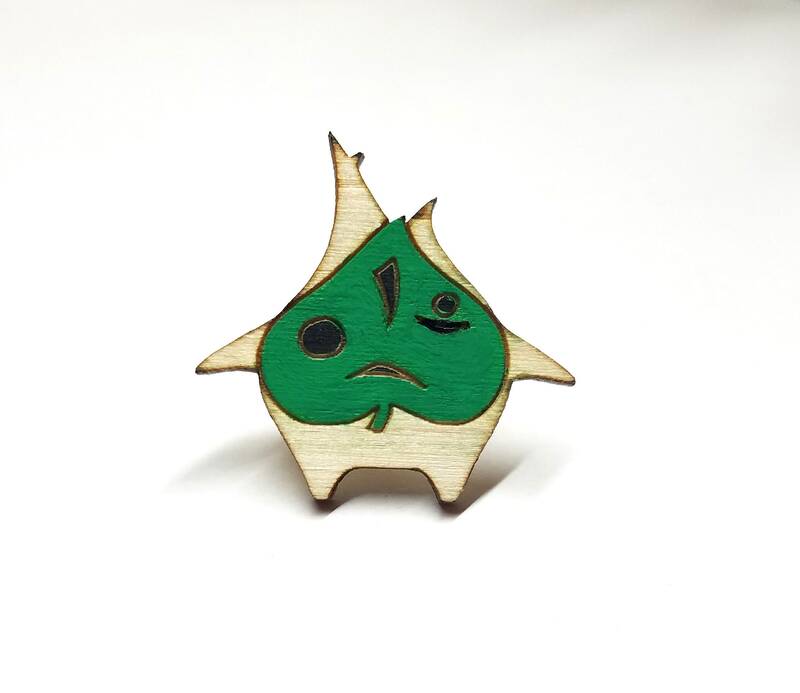 The Koroks appear as little wooden people whose bodies resemble trees, and whose faces are concealed by leaf masks. The masks they wear take on various different shapes based on types of leaves, and have holes in them resembling eyes and a mouth, and occasionally a hole for their noses to fit through. Their bodies make a jingling sound whenever they move. Koroks are also able to fly through the use of propeller Deku Leaves that sprout from their bodies. Laser cut and handpainted by me for you! Comes shipped in a little gift box inside a bubble mailer with lots of care so as not to get damaged as it makes it's way to you. Everything arrived right on time and in great condition thanks. SO CUTE! 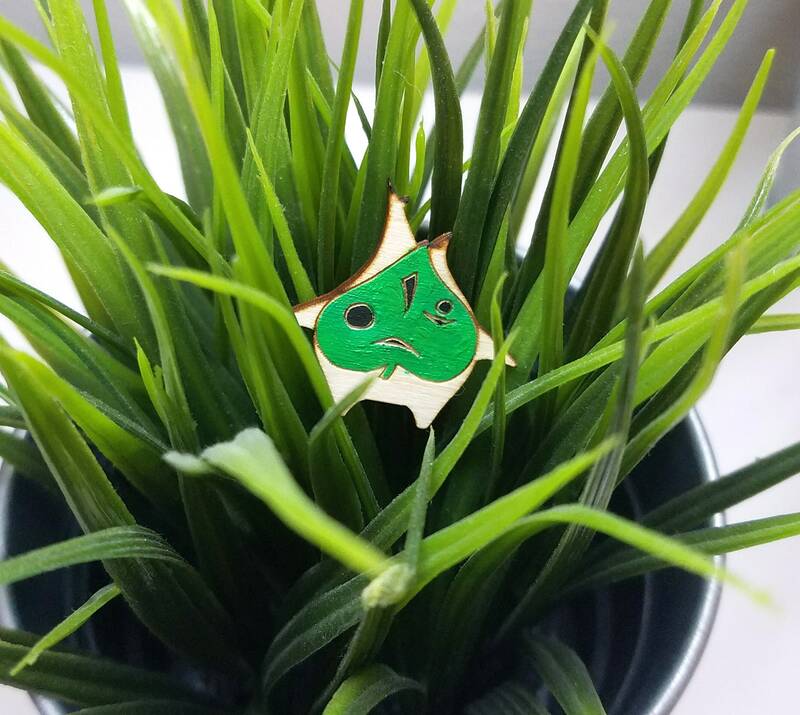 I have it pinned in my backpack next to my Hestu one so they match. Worth it if you love the Zelda series!